So are we all confronted by God in our daily rush. God spoke to Moses to fulfill his will. His heart was on fire and his mind was still. His direction, path and future were clear. How often in our daily rush we don’t know our path? God led Moses and gave him a staff. Yet God reaches out daily to us through people we meet. Sometimes we ignore people and don’t have time to greet. God speaks to us daily, but we don’t have time to hear. We lose sight that God is always near. 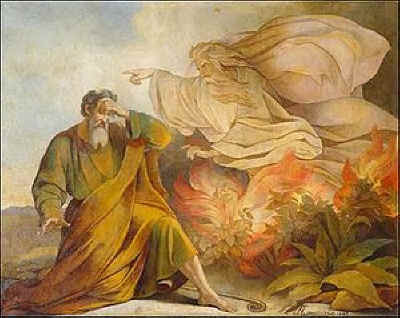 Do we like Moses need a burning bush or telegraph pole? Stop and listen to the voice speaking to our heart and soul. God speaks to us so let us open our ears. Let us rise above our troubled hearts and let go of our fears. Stop and see our own burning bush. Take a brief moment from our busy schedule and daily rush.